Opening for the 2019 season on 1st Feb!!! Contact us now, to make your booking :) Visit us here in Tioman Island, to complete your PADI dive course, or to dive for fun. 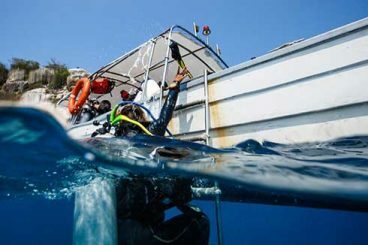 We offer a wide range of courses, and our dive sites have something for every level of diver. You will be in good hands with our excellent PADI certified DiveMasters and Instructors, as you explore Tioman's underwater world. Tioman Island, off Malaysia's East Coast, has extensive coral reefs teeming with a wide variety of tropical fish both large and small. 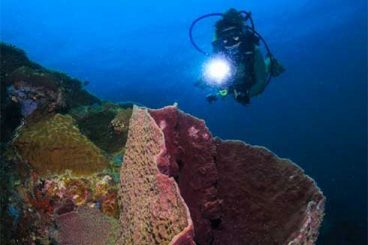 Dive sites include large boulder structures, which create intricate mazes of swim-throughs, stunning Coral Reefscapes and many wrecks, both old and new. 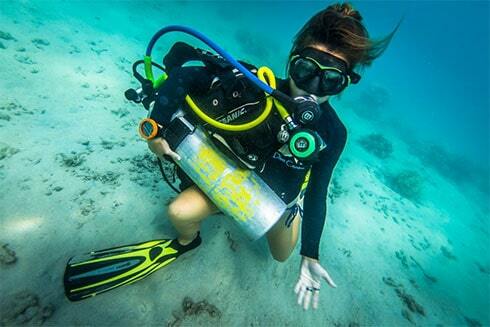 The waters around Tioman island have something to offer for every level of diver. In the good hands of the team at TDC, and in small groups, we will ensure you have an enjoyable and safe experience here in Tioman Island. 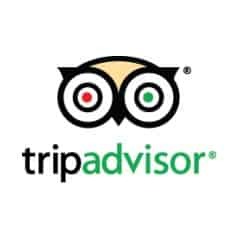 We pride ourselves on delivering to you a quality dive experience that should be fun, safe and environmentally friendly. Find more details here, for information about diving with TDC as a certified diver. 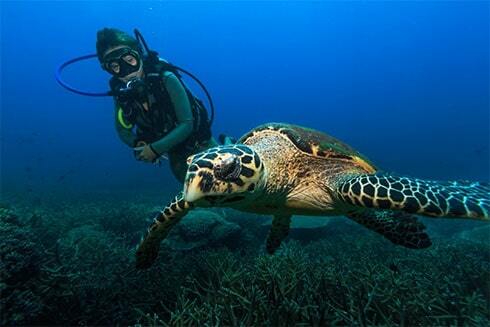 Leisure Diving in Tioman Island has something for everyone. With our team of PADI professionals, we will show you the best that Tioman has to offer... From sharks and turtles, to the tiniest of nudibranchs that inhabit our dive sites, from the beautiful coral reefs to the maze of boulders which create dramatic swim-throughs. Tioman is a divers' haven. 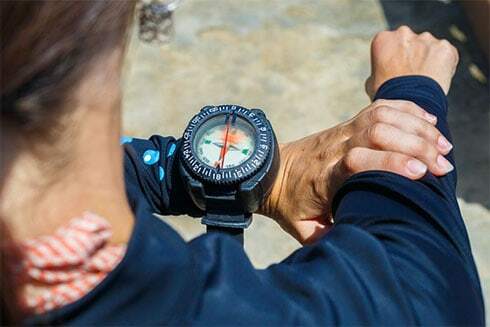 Getting to Tioman may seem complicated, but with our How To Get Here Guide, this will help you to make your travel plans and book your trip to Tioman. You can reach Tioman by taxi/bus/car and ferry from both Singapore and Kuala Lumpur, and can also fly, in a small plane, from Kuala Lumpur’s Subang Airport in 1hr 10 minutes. The main ‘Gateway To Tioman’ is Mersing Town, located on the East Coast of Peninsular Malaysia. Another town, Tajung Gemok, 40-minutes north of Mersing, is also becoming popular, with ferries running regularly to Tioman. Tioman Dive Centre is truly a professional dive centre. If you're looking for a dive centre, trust me on this - go to TDC! The crew there are very professional, and everyone is like family there! The environment is so friendly and happy! Most importantly, its clean and the dive equipments are in great condition. I took my AOWD certification there and there's absolutely nothing to complain. Staff is very friendly and instructors are well prepared. It's right by the beach and cozy, which makes things simple and easy. The house reefs are great, Definetely will come back. Tioman Dive Centre or TDC as it's known locally, facilitated my Divemaster course this year. Rosie the owner was very accommodating and extremely knowledgable - a great resource and support on the course and responded straight away to all my communications. She runs a tight ship of efficient diving and dive instructors. Please do not litter…. The beach, the sea, our dive centre, resort grounds, or anywhere on Tioman Island. Take special care of your cigarette butts!! Please do not touch anything… underwater, with any part of your body or equipment. This is especially important when taking underwater photos and videos. Please do not collect… anything living or dead, except man made objects… rubbish!! Please do not… take offence if we remind you of any of the above.